3. Be careful with package pick-up. Disney offers a wonderful service for Guests who purchase merchandise in the parks but don’t want to carry their purchases around with them. 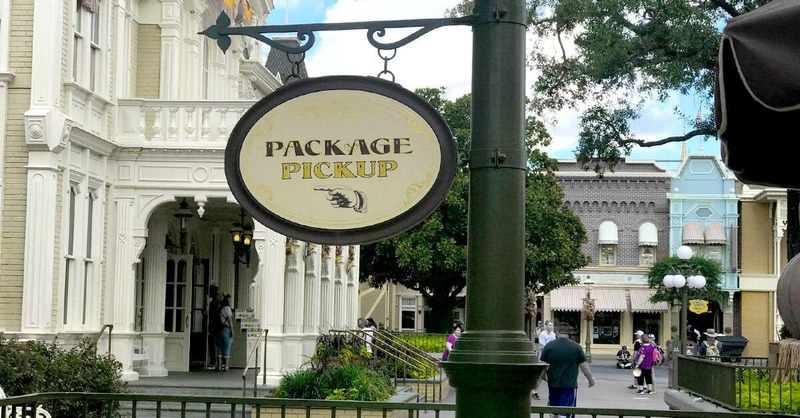 If you make a purchase and will be in that park for at least 2 hours longer, you can have your items sent to package pick-up in the front of the theme park you’re visiting. It’s a wonderful service. But it can get tricky and time-consuming if you make a purchase at Hollywood Studios, for example, send it to the front of the park for package pick-up later, and then forget about it before hopping to Magic Kingdom. Your item will still be at package pick-up at Hollywood Studios, but you will be at Magic Kingdom. And if you don’t plan to hop back to Hollywood Studios before the end of the day, you’ll have to make a special trip to pick up your items later. It’s not the impossible situation, but it is a time-consuming situation, to say the least. *Note: This does not apply to Guests staying on property at a Disney resort hotel who have had their packages sent to their hotel rooms.